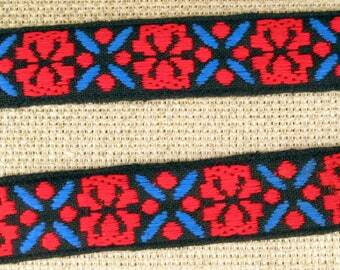 3 yards Jacquard trim in turquoise, wine red, beige, black. A Native American style trim. 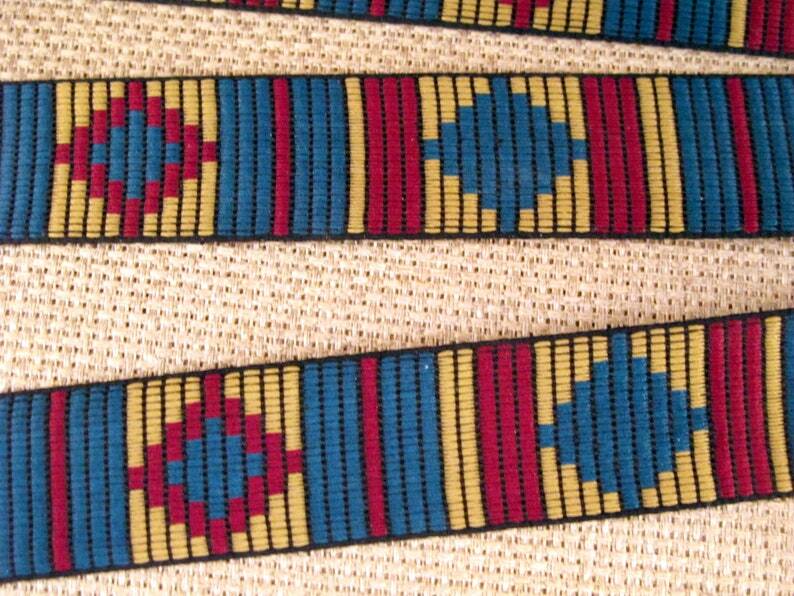 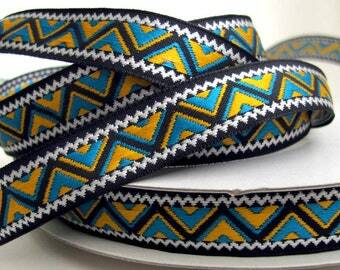 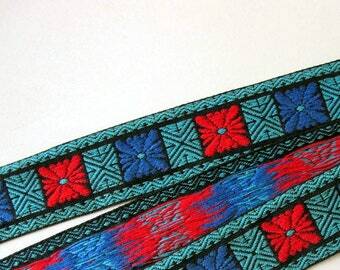 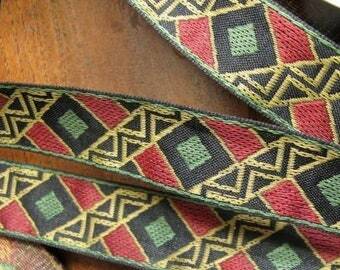 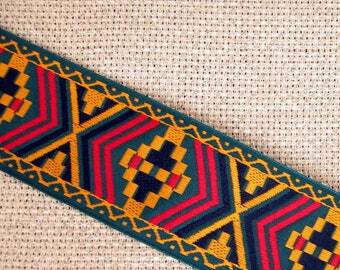 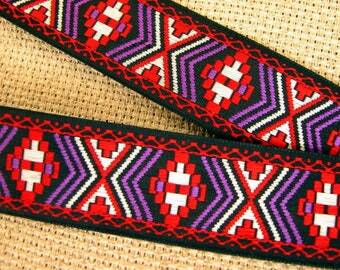 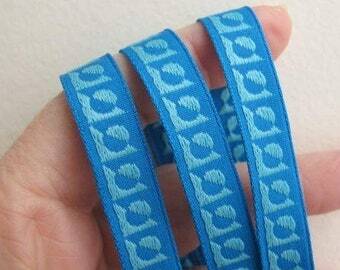 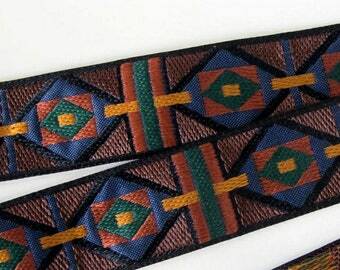 Offered here are 3 continuous yards of a medium width Native American pattern Jacquard ribbon.